Like their Jan. 24 matchup, this one started in McGill’s favour. The Redmen managed to control most of the game, holding big leads at the end of the first three quarters, like the 55-42 spread they had after 30 minutes. 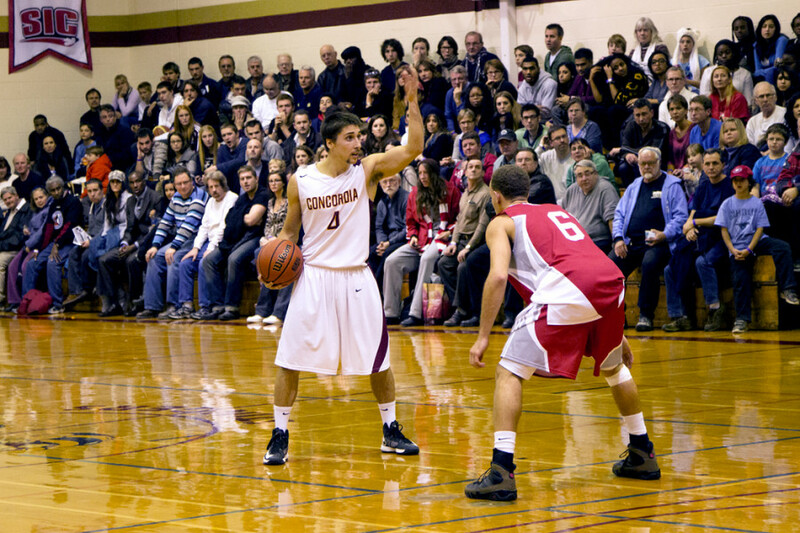 Redmen guard Simon Bibeau was on his A-game, scoring four three-pointers and leading his team with 14 points. But the loss can be chalked up to more than just an impressive showing from the Stingers’ rivals. “We were too far behind and missed the ability to come and take it,” said Stingers guard Kyle Desmarais, who had 11 points on the night. Few could say otherwise. The Stingers were dismal from the field goal range in the first half, only scoring landing 28 per cent of their shots, and just two out of nine shots from the three-point range. The Redmen, meanwhile, sank 41 per cent of their shots and went three for six from downtown in that same half. This would all change 34 seconds into the fourth, when the Stingers finally woke up. It culminated in a three-minute run that saw the Stingers score 12 points to take the lead midway through the quarter. This momentum would carry on for the remainder of the quarter, but the Redmen ended any chance of a comeback when Bibeau scored a three-pointer with 81 seconds remaining in the game. To make matters worse, Stingers guard Jean-Andre Moussignac limped off the court in the fourth with what appeared to be a lower body injury, but the team isn’t too concerned about it. After cruising past the Laval Rouge et Or 74-59 last Saturday, the Stingers currently hold second place in the Réseau du sport étudiant du Québec standings with a 7-5 record. They’ll hope to regain the top spot when they travel to Lennoxville next Friday to take on the first-place Bishop’s University Gaiters. Tipoff is at 8:00 p.m.